Built 1901; not listed; in use as a pub. 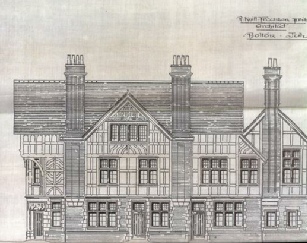 The drawings for this public house are dated 1898 and the datestone above the entrance is 1901. It is a calendar building, with four floors (one for each season), seven rooms per floor (days of the week), twelve cellars (months), twenty-eight rooms (days in month), fifty-two doors (weeks) and 365 panes of glass. 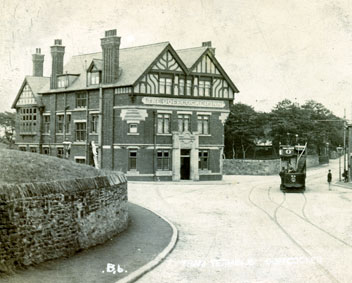 The old photograph shows that the half-timbering of the gables has unfortunately been lost but there have been few other significant external changes. 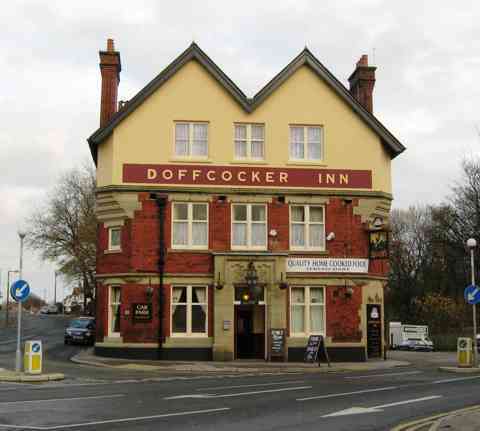 The original design shows much more half-timbering than the final building, possibly echoing the old house nearby called Doffcockers. Frank Freeman later made some alterations to the building.